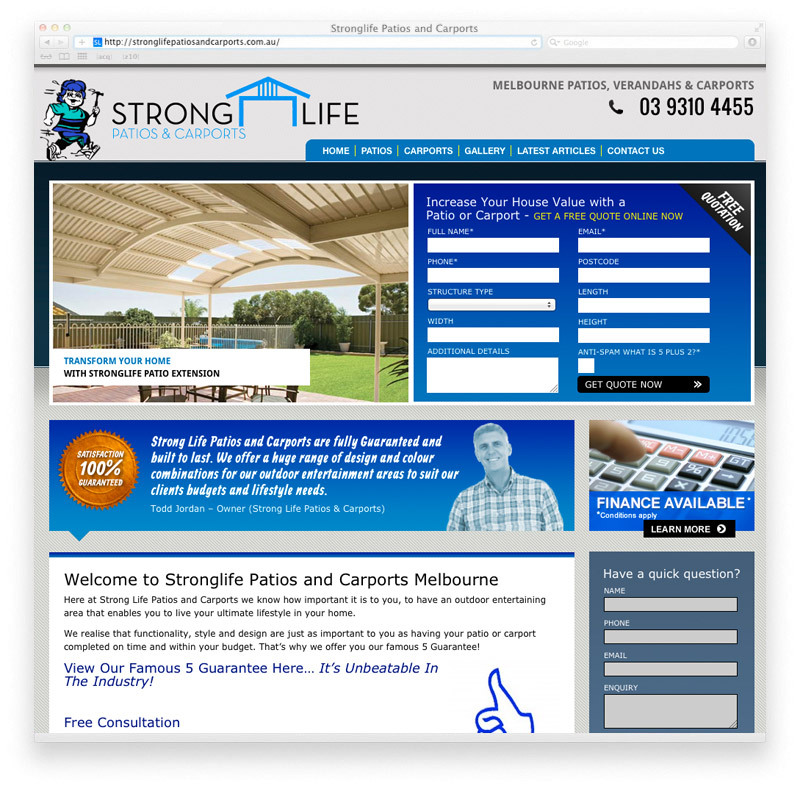 If you are after a patio, carport or outdoor entertaining area Stronglife Patios and Carports Melbourne have got you covered. Providing a solution made from the highest quality Australian made Stratco products, Stronglife Patios and Carports are your number #1 choice for carports, patios, verandas and outdoor entertainment areas. zen10 has created a fresh new website for Stronglife Patios and Carports that features custom wordpress CMS template development allowing the client to add & edit content at any time. The new website also features a free quotation form allowing customers to add in the type of job requested, specific dimensions, location and any additional details. Once sent, Stronglife can process the enquiry and offer a free quote. The addition of the free quote form has resulted in high conversion rates which is great for Stronglife. zen10 also included a customised gallery for Stronglife to showcase their products and services in style.